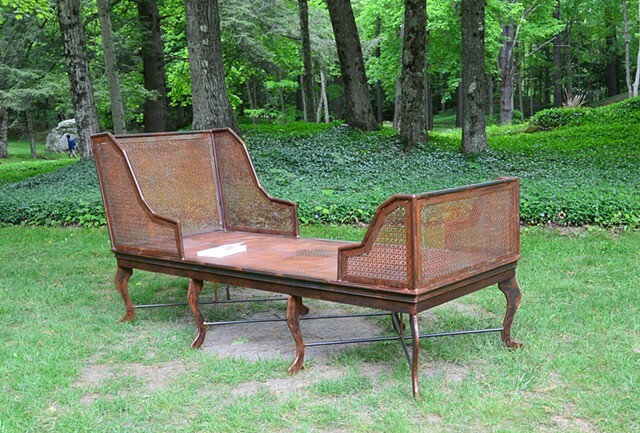 My sculpture Lit de Repos is a steel reproduction of the “lit de repos” Chaise illustration found in Edith Wharton’s The Decoration of Houses. Her manual of interior design grew from her design efforts at The Mount in Lenox, Massachusetts. Of all the furnishings depicted in The Decoration of Houses, it is the “lit de repos” that seems to embody the spirit and luxurious lifestyle that Mrs. Wharton espoused. The reclining chair was a must for any boudoir. A place of refuge and privacy, Mrs. Wharton’s boudoir was also her favorite place to work. 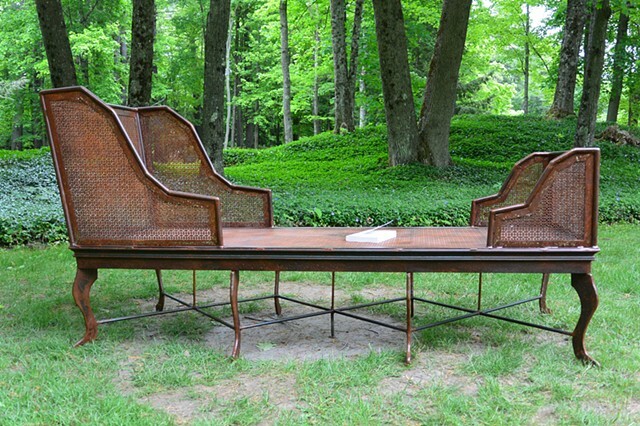 The “lit de repos” conveys civility and comfort. Here is a woman with the ability to balance her serious life’s work with pleasure, entertainment, and luxury; all of which were essential to her literary pursuits and lifestyle. 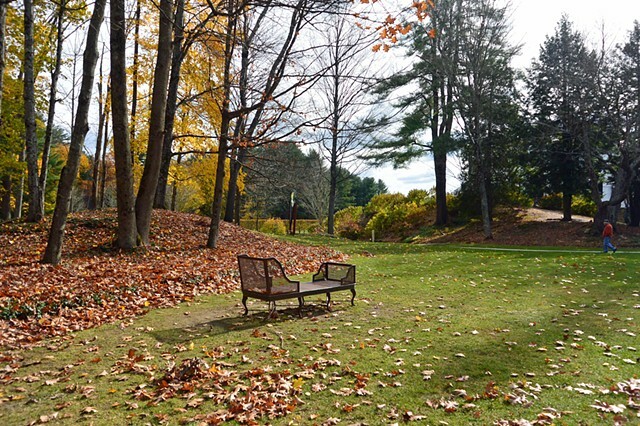 Lit de Repos....for The Mount...Lenox Mass.